Arraystar LncRNA microarrays are designed for global gene expression profiling of both LncRNAs and mRNAs on the same array. 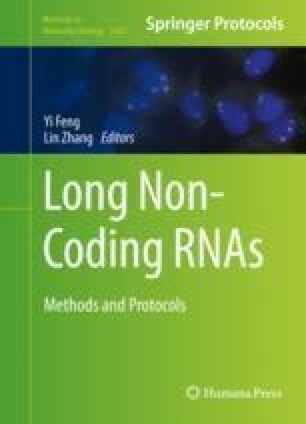 The array contents feature comprehensive collections of LncRNAs and include entire sets of known coding mRNAs. Each RNA transcript is detected by a splice junction-specific probe or a unique exon sequence, such that the alternatively spliced transcript isoforms or variants are reliably and accurately detected. The highly optimized experimental protocols and efficient workflow ensure sensitive, robust, and accurate microarray data generation. Standard data analyses are provided for microarray raw data processing, data quality control, gene expression clustering and heat map visualization, differentially expressed LncRNAs and mRNAs, LncRNA subcategories, regulatory relationships of LncRNAs with the mRNAs, gene ontology, and pathway analysis. The LncRNA microarrays are powerful tools for the study of LncRNAs in biology and disease, with broad applications in gene expression profiling, gene regulatory mechanism research, LncRNA functional discovery, and biomarker development.